Update: Albert Finney has died on February 7, 2019 at the age of 82 from a chest infection. Five-time Academy Award nominee and winner of multiple BAFTA awards, British actor Albert Finney (Erin Brokovich, Tom Jones) was born on May 9, 1936 in Pendleton, England. Young Albert grew up as the youngest of three children during World War II England. After graduating from grammar school, Albert Finney attended the Royal Academy of Dramatic Art (RADA) on a scholarship where classmates included Peter O'Toole and Alan Bates. Next, during his two years with the Birmingham Repertory Theatre Company, Finney met English actress Jane Wenham (Mrs. Bates in episode 7 of Downton Abbey), who was 9 years his senior. Jane Wenham and Albert Finney were married in 1957 and son Simon Finney was born in September 1958. Albert Finney began working for the Royal Shakespeare Company (RSC) in 1958 and debuted on London's West End stages in May 1958 in The Party starring the play's director, actor Charles Laughton. During Finney's time with the RSC in 1958 and 1958, his wife Jane Wenham also worked periodically for the Royal Shakespeare Company, as did Australian actress Zoe Caldwell. By the end of 1959 Albert Finney was having an affair with his Othello co-star Zoe Caldwell. Jane and Albert Finney separated in 1960 and, according to The Diaries of Lindsay Anderson (2005) by English director Lindsay Anderson, Finney was living with Zoe Caldwell. He'd also had to drop out of the London play The Long and the Short and the Tall, after suffering from peritonitis after his appendix burst. The peritonitis was fuelled by Albert Finney's heavy drinking; ironically, he was replaced in the play by his old RADA classmate Peter O'Toole, another legendarily hard drinker. 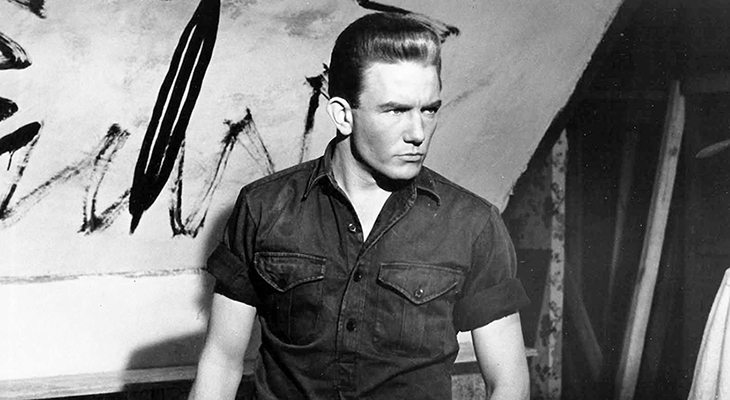 Albert Finney's role in the film Saturday Night and Sunday Morning (1961) was not his first appearance on screen, but it was the one that launched his movie career; Finney was nominated for the BAFTA Awards as Best Actor. Albert Finney and Jane Wenham divorced that same year. 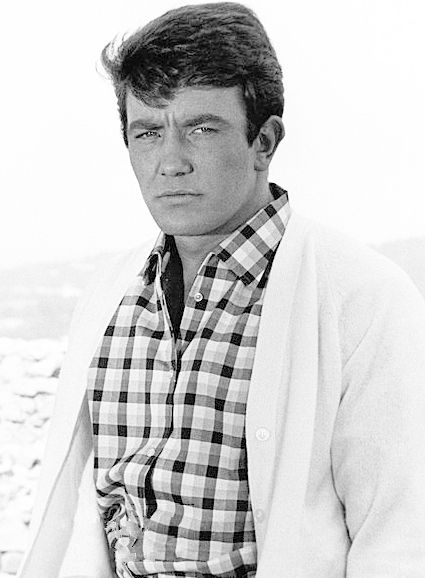 Tom Jones (1964) earned Albert Finney nominations for both the Academy Awards (his first of five nominations) and BAFTA Awards as Best Actor. Finney took home the Golden Globe Award for New Star of the Year - Actor for his performance in Tom Jones. Tom Jones was a financial success and made Albert Finney a hot box office commodity with baby boomers in the U.S., but he failed to capitalize on it. Finney told People magazine in 1982 that he went to Hawaii after completing work on Tom Jones to see a girlfriend, and ended up taking a year off to travel. Finney's co-stars in Tom Jones included Susannah York, Hugh Griffith, Edith Evans, Joan Greenwood, Diane Cilento, David Tomlinson, and Peter Bull. The movie trailer for Tom Jones, below, features Albert Finney, Susannah York, and other co-stars. "Working with dear Audrey Hepburn is a memory I will never forget. If I close my eyes, I can still see both of us spending a summer filming in the south of France....I've been very lucky to work with pros. And sometimes when I think back, I actually cry about it. These are people who have been capable of going out on a limb in some way. And courage always impresses me." Actor William Daniels, and young actress Jacqueline Bissett were also in Two For The Road; it was the first of 3 movies Jacqueline Bissett would appear in starring Albert Finney. Below, the 1967 movie trailer for Two For The Road features Albert Finney and Audrey Hepburn. The following year Albert Finney starred in and directed (his first and last directing effort) the comedy/drama Charlie Bubbles (1968), with female lead Liza Minnelli. While filming The Picasso Summer (1969) in France with co-star Yvette Mimieux, Finney met married French actress and mother of one, Anouk Aimée. 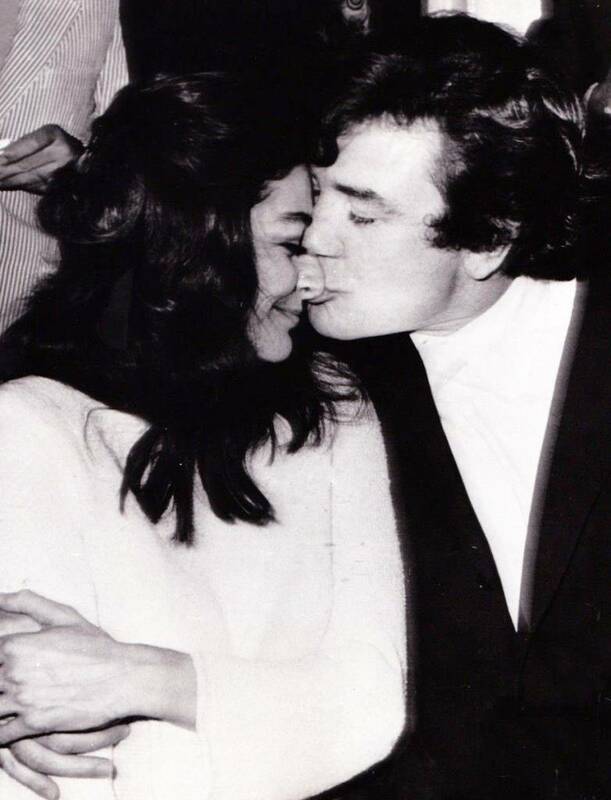 After she divorced her third husband (her previous two marriages had also ended in divorce), Anouk Aimée and Albert Finney married in August 1970. 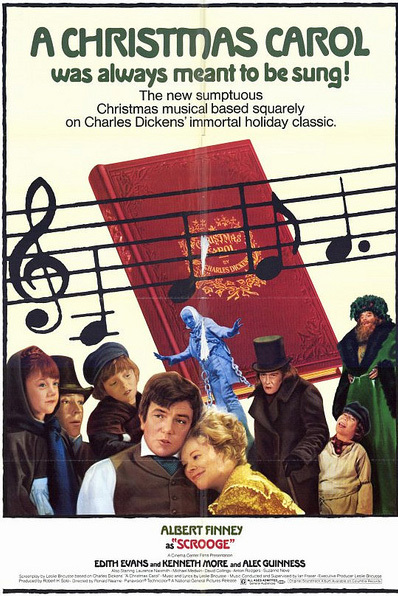 Scrooge (1971) won Albert Finney a Golden Globe Award for Best Actor - Motion Picture Musical or Comedy. Albert Finney played the lead of Hercule Poirot in Murder on the Orient Express (1974), along with an all-star cast that included Lauren Bacall, Ingrid Bergman, Sean Connery, Anthony Perkins, Michael York, and Jacqueline Bisset in their second movie together. Finney received his second Academy Award nomination for his work in Murder on the Orient Express. By 1974, he was ready for a break from the movies and for the next several years, focused on acting in plays in England. 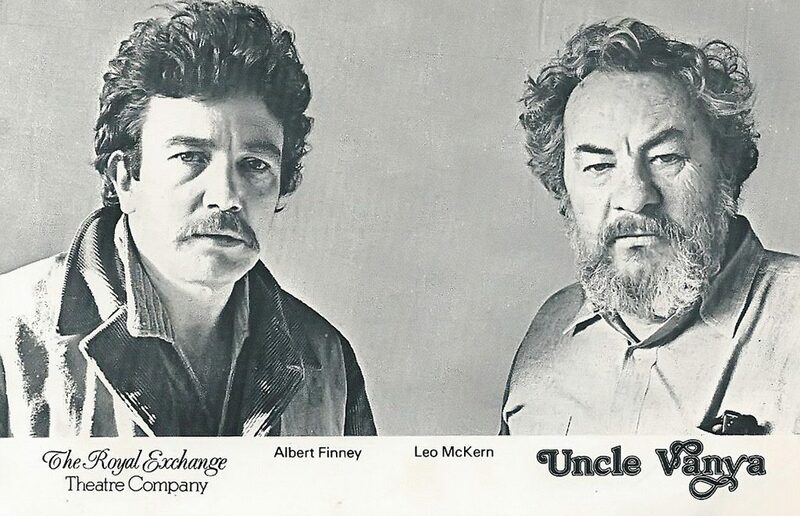 Albert Finney appeared opposite co-star Leo McKern in The Royal Exchange Theatre Company's production of Uncle Vanya in 1978 (below). Albert Finney's father had been a bookie in England, and Finney was a fan of thoroughbred horse racing. By 1986 Finney had partnered with the great American racehorse and 1977 Triple Crown winner Seattle Slew's owners, Karen and Mickey Taylor, and owned nine foals by Seattle Slew. Albert Finney has also kept race horses in Ireland, and his partnership with the Taylors continued until they completely dispersed their stables. Combining his interest in horses with his acting talents, Albert Finney narrated the horse racing documentaries The Story of Mill Reef - Something to Brighten the Morning (1974), and The Year of Dancing Brave. Although Anouk Aimeé left Albert Finney in 1975 when she fell in love with Ryan O'Neal, their divorce wasn't finalized until 1978. By then Finney was living with another English actress, Diana Quick. Diana Quick and Albert Finney lived together for 7 years before splitting up in the early 1980's. In 1981 Albert Finney returned to the movies with a vengeance, appearing in 3 movies that year including Looker, with James Coburn and Susan Dey (The Partridge Family), and Loophole with Martin Sheen and Susanna York. It wasn't until the musical Annie (1982) with Carol Burnett, Tim Curry, and Bernadette Peters, that Albert Finney found box-office success again. That same year, the drama Shoot The Moon (1982) was released. His co-stars in Shoot the Moon included Diane Keaton and Peter Weller. Below, Albert Finney and Diane Keaton are featured in the trailer for Shoot the Moon. Critical claim again came his way with The Dresser (1983), garnering him a third Academy Award nomination. Under the Volcano (1984), was Albert Finney's third movie with Jaqueline Bisset, and earned him a fourth Academy Award Best Actor nomination. During the 1990's and his 50+ years, Albert Finney met travel agent Penelope Delmarche. He continued to work steadily in the movies with films like Miller's Crossing (1990), and The Browning Version (1994). His son Simon Finney was a camera assistant on The Browning Version. Albert Finney was nominated for a Primetime Emmy Outstanding Lead Actor in a Miniseries or a Movie for his work in the made-for-TV film The Image (1990). During the 1990's, Finnery accumulated 4 British Academy Television Award Best Actor nominations for The Green Man (1990), Karaoke (1996), Cold Lazarus (1996), and A Rather English Marriage (1998). Erin Brockovich (2000), co-starring Julia Roberts and Aaron Eckhart, was commercially and critically successful. Albert Finney's performance in Erin Brokovich won him a Best Supporting Actor Academy Award. Below, actors Albert Finney, Julia Roberts and Michael Shamberg in a scene from Erin Brokovich. As a new senior citizen, Albert Finney played Winston Churchill in the television movie The Gathering Storm (2002), He won both the British Academy Television Award Best Actor and Primetime Emmy Award for Outstanding Lead Actor in a Miniseries or a Movie for his performance in The Gathering Storm. Albert Finney, whose name was been linked with numerous women including Jacqueline Bissett, Joan Baez, Carly Simon and others throughout the 1960's, 70's, and 1980's, told The Mail on Sunday in 2002 that now because of his long-standing relationship with Penelope Delmage, although he still liked to flirt there was no longer intent behind it. "I was a great womaniser and I used to deal in bulk. There is nothing wrong with that. Why not? It was a lot of fun." Septuagenarian senior citizen Albert Finney and Penelope Delmage were married in 2006 and celebrated their 10th wedding anniversary in 2016. Albert Finney's movies since 2006 included some of the biggest pictures of his career. Big Fish (2003), was followed by key roles in The Bourne Ultimatum (2007) and The Bourne Legacy (2012) with Matt Damon, and a part in the James Bond Franchise as Skyfall (2012) gamekeeper Kincade, to Daniel Craig's James Bond in Skyfall. Below, Albert Finney and several other stars from Big Fish - Ewan McGregor, Billy Crudup, Jessica Lange, Alison Lohman - are featured in the trailer for the movie. Albert Finney weathered a diagnosis of kidney cancer in 2011 and the subsequent surgery and chemotherapy to treat it. He and his wife Penelope lived in West Sussex, England before his death. Note: This article was first published in 2016 with the title Celebrating Seniors - Albert Finney Turns 80. It has been updated with new & additional content. Great Movies for Horse Lovers? Inspiring! Thank you for this info. In 1967 I, among millions of others, fell in love with TWO FOR THE ROAD, have watched it dozens of times and have it on DVD today. To show how out of touch I am I only today realized that Albert Finney was married to Anouk Aimee not long after he and Audrey Hepburn finished TWO FOR THE ROAD and their off screen affair. Of course Anouk mesmerized me in A MAN AND A WOMAN in the same era. Those two movies alone brought my deepest emotions to the surface and redirected my sensibilities before I was twenty years old.